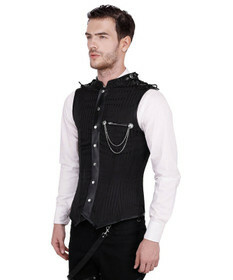 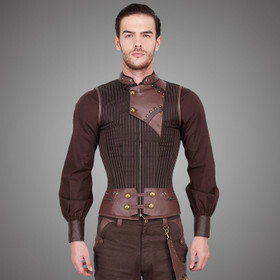 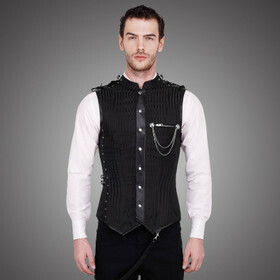 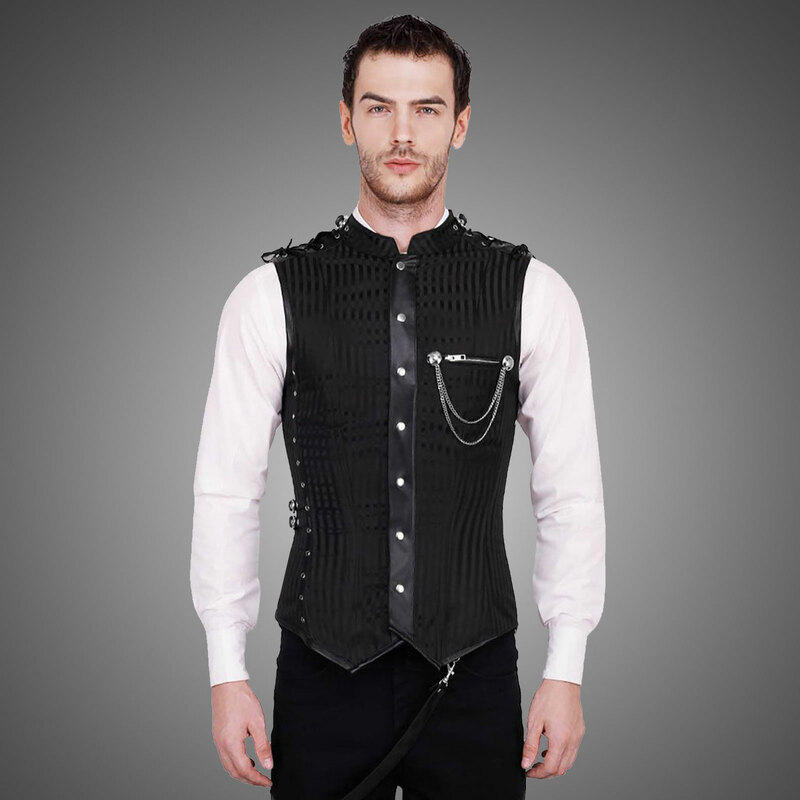 Noble full corset for men by Vintage Goth. 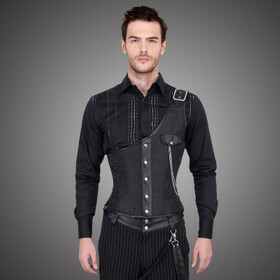 Fine black striped satin with leather contrasts. 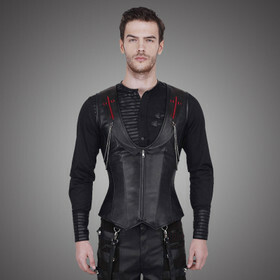 Front zip, neck-high back lacing. 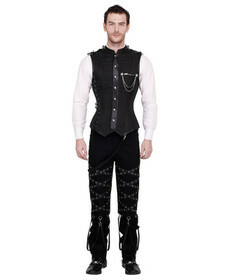 Noble full corset for men by Vintage Goth. Fine black striped satin style with black faux leather contrasts. 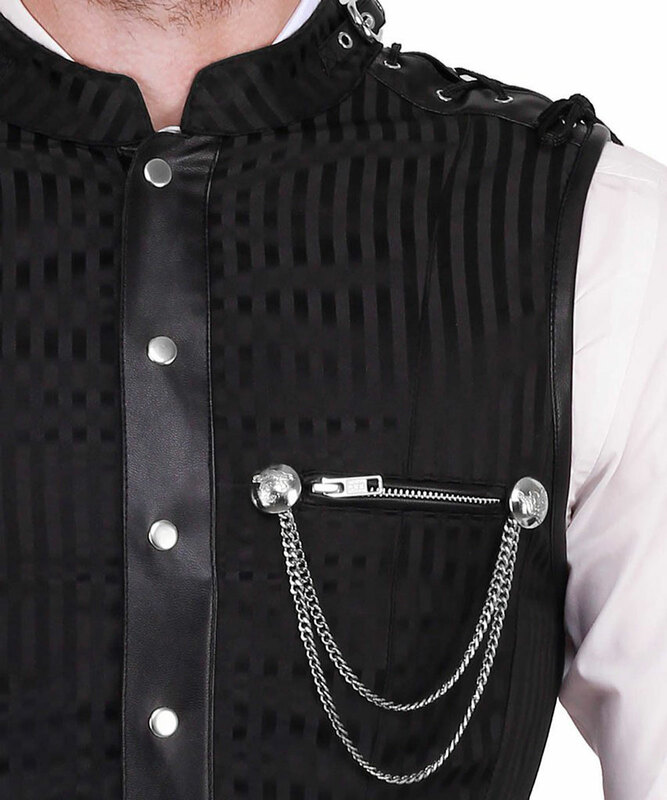 Inside smooth cotton lining. 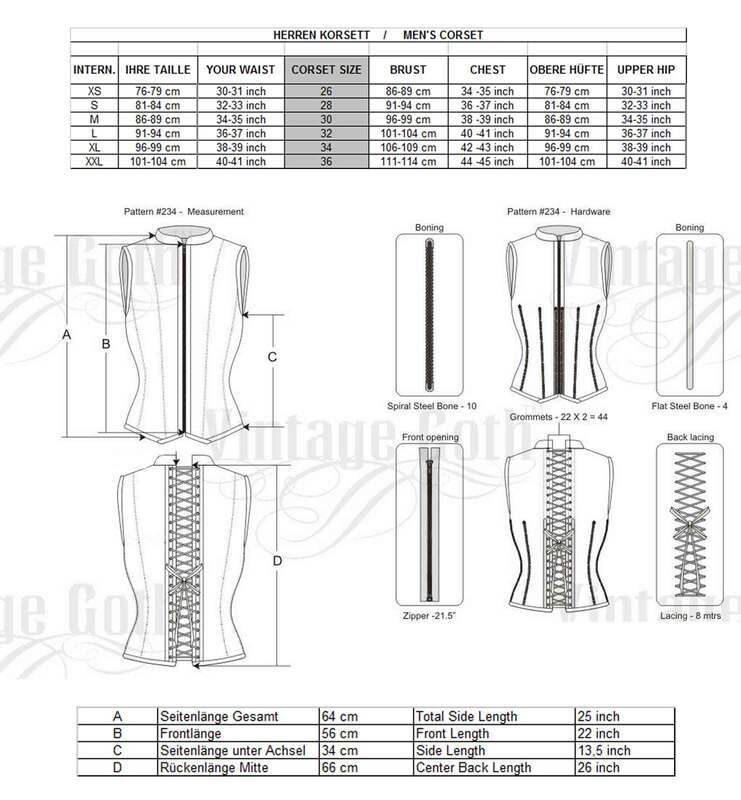 Solid hidden front zip with snap rail. 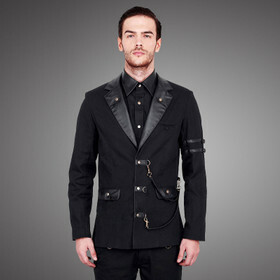 Little stand-up collar, deco shoulder lacings, small side buckles. 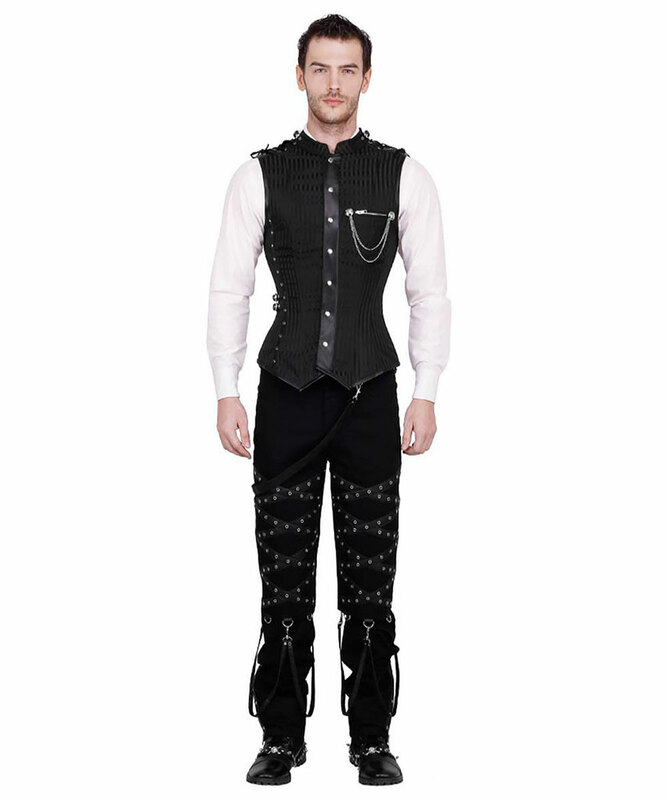 Bottom tips. Small zip pocket on the left, with buttons and chains. 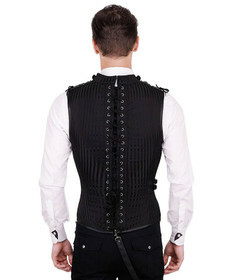 Embedded corset with firm waistband as well as 10 spiral bones and 4 flat steel bones. 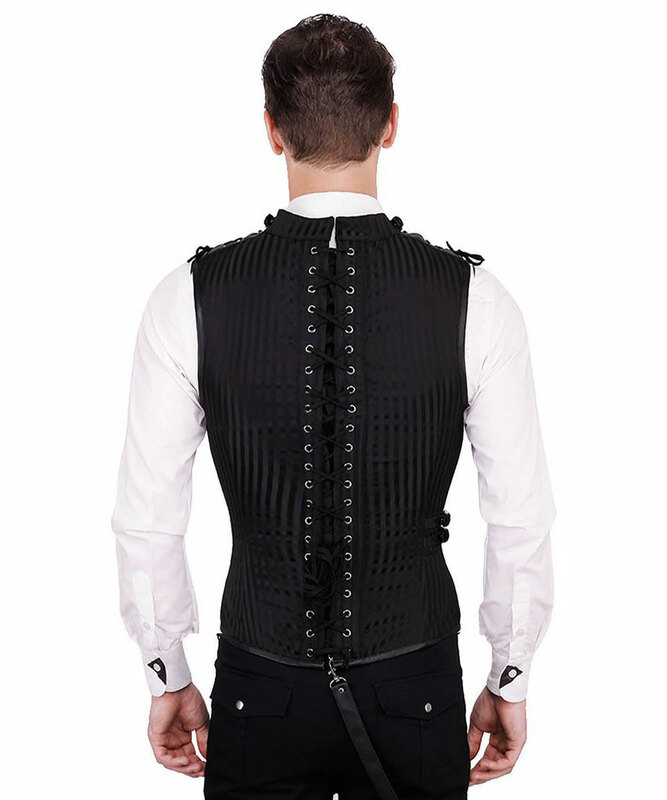 Neck-high 44-holes back lacing; broad inside protection panel. 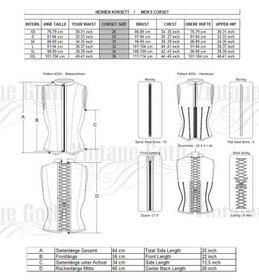 Note: Please pay attention to the size chart.